Thanks to Novel Gossip for this fab review and for taking part in the blog tour. For those who have asked how my village of Middledip’s going on, this post, hosted on LInda’s Book Bag, is for you. 🙂 I hope you enjoy it. Regular readers of Linda’s Book Bag might be forgiven for thinking I’m a little bit obsessed by Sue Moorcroft. I’ve met Sue several times and had the chance to interview her here, and have previously reviewed Sue’s The Christmas Promise here, and Just for the Holidays here. As well as all that, Sue has told me about her fantasy holiday companions here too! Today I’m delighted that Sue is explaining a little about the village concept behind her latest book, The Little Village Christmas. 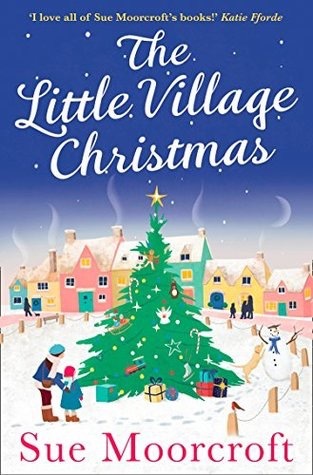 The Little Village Christmas was published by Avon Books, an imprint of Harper Collins, on 9th October 2017 and is available for purchase here.